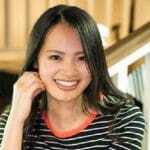 Platform as a Service (PaaS) has been a difficult startup business model in the US, but Wayland Zheng, founder and CEO of Mobingi, has found a way to make it work in Japan. His approach involves a combination of leveraging both a unique feature set and some unique aspects of Japanese technical buyers. Wayland also shares his story of what is probably a record for the fastest time to startup launch for any foreigner in Japan. Within two months of landing in Tokyo, and unable to speak the language, he had settled on a startup idea, found a Japanese co-founder, and been accepted into one of the most competitive startup accelerators in Japan. Three years later, Mobingi has an impressive and growing list of clients and investors. We talk about how he made all this happen, the importance of accelerators, and how you need to tailor your startup not just to a rational business model, but to the business culture of the market. It’s a great discussion and I think you will really enjoy it. You know, I get asked a lot about the difficulty of starting a company in Japan as a foreigner. I always have trouble answering that question because although I’ve started a number of companies in Japan as a foreigner, I have nothing to compare it to. I mean, I’ve never started a company in Japan as a Japanese person so I only have my own experiences to base a judgment on. Well, I’ve got good news. All foreigners who are griping about how hard it is to start a company in Japan can now officially stop complaining. I’ve got a pretty amazing guest and a pretty amazing story to tell today. I’ve got a pretty amazing guest and a pretty amazing story to tell today. 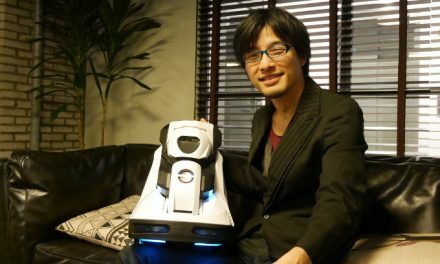 Wayland Zheng started Mobingi only two months after arriving in Japan and he’s made a success of it. 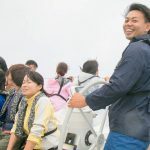 He attracted a co-founder, joined an accelerator, on-boarded customers, and raised funds all without speaking Japanese. Of course it wasn’t exactly easy. As you’ll see during the interview, it’s not even fair to say that he made it look easy. It was hard. But Wayland explains how he managed to overcome the language barrier and well, several other barriers as well. We’ll also dive pretty deep into startup accelerators, how they differ between Japan and the U.S. and what founders should reasonably expect out of them, because Wayland’s been to a few and sometimes, they did not work out as planned. But you know, Wayland tells that story much better than I can. So let’s hear from our sponsor and get right to the interview. Tim: I’m sitting here with Wayland Zheng of Mobingi. Mobingi is a platform as a service company but I know it’s so much more than that. Why don’t you tell us a bit more about what Mobingi is? Wayland: Okay. First, thanks for visiting my company. Mobingi is a software as a service. It’s a solution for helping companies to manage their application on the cloud. So basically, what it does is it helps engineers to automate their cloud applications workflow when they’re trying to deploy some applications to clouds or with like AWS, Microsoft Azure, or Google Cloud then instead of maybe we configure the resources, they can log into the console and just use their mouse and click and make the deployment automatically happens. Tim: Okay. Both Amazon and Microsoft already have tools that they say manage the application life cycle and can help automate these processes. What does Mobingi do that’s different? Wayland: Yes. A very good question. They’re trying to make the cloud computing more easier, like provide console is very cool. Cloud computing itself is very complicated. We have to face what is virtual machines — how to configure storage, security groups. Those technologies require deep knowledge to manage. Like take an example of AWS, it has a lot of service, more than 30 services. If you really want to try to use AWS dashboard to automate everything, it’s almost nearly impossible. You have to configure a lot of stuff by yourself, by arranging your team. Mobingi is trying to solve the problem from a — we see a high level solution that’s more easier for less-experienced programmers. Tim: So the users can use the Mobingi platform to do the basic life cycle management and then if they have to do something really complicated, they can dive into AWS or Azure? Wayland: Yes. Right. For some customers, they want to use AWS but AWS has a learning curve. They can use Mobingi. They just provide their WordPress blog or website code and directly deploy their application on AWS. They don’t even touch the servers. Tim: Okay. Before we started today, we were talking a bit about how you came up with the name for Mobingi. Wayland: Oh, yes. Yes, the name actually has no meaning. It was made by my previous friend. He said “Mobi” is for mobility, “ingi” is some maybe Italian word or European word. So combined together is a general development tool or something. Tim: So you were just looking for a domain name that was available? Wayland: Yes. And it sounds like cool in Japanese, Mobingi. By the way, we do have a meaning after we made the name. MOBINGI short for Machine Obsessed Because Infrastructure Never Gets Intelligent, which means we wanted to try to make it intelligent. Tim: Tell me a bit about your customers. What’s the core selling point of Mobingi? 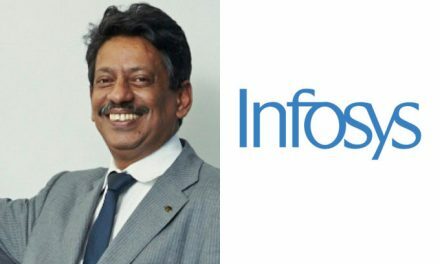 Is it just that ease of use, how quickly customers can use cloud services? What is it? Wayland: Firs of all, our current target is in Japan only. Most of our customers, they found by using Mobingi can help them to save the time and some human resource cost and also another advantage is we help them to save cost, not human resource cost, meaning server cost. For example, many of our customers, they deploy their applications to AWS. They’re spending more than hyaku man (百万). 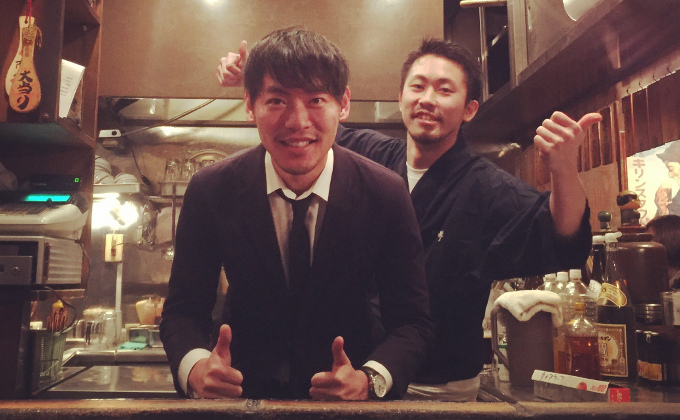 Hyaku man is $10,000 per month, which is a lot for a startup. AWS, they have on-demand instance, means normal instance. They also have like reserve instance and spot instance. Spot instance usually 70%-80% cheaper than on-demand instance. But these instances are like a bid model marketplace. If some other people bid this, either this can shut down anytime, so not very popular. Tim: So by using this platform, it automatically bids and can reduce the cost by about 20%? Wayland: Yes. But the system, not only bidding for them, we also help them to ship application to the instance. If instance being shut down by AWS, we are able to re-deploy this application to a new instance before starting up. Tim: Okay. And that alone would probably more than pay for the cost of Mobingi, right? Wayland: Yes, exactly. We are charging 15% out of the savings. Wayland: No, not base. It’s the savings. A hard point about this, because we are shipping applications to Docker Containers at the moment, that’s why it’s super-fast. We can re-deploy the application to a new instance before starting up, probably within two minutes. But since Docker Containers is not very popular in Japan yet, there’s a huge selling hurdle to customers which we require them to use Docker. We have to provide them some support even consulting to help them to ship to container, container writes their application. Tim: Okay. The core selling point, not to be too cynical about it, but it seems to me that the core selling point is not so much ease of use or the transparency or the multi-cloud. It’s simply that at the end of the day, Mobingi saves the clients a lot of money on their hosting. Wayland: Yes. Actually, it sounds like that but we did a lot of work on simplify the cloud deployment. We do help a lot like easy deploy. This is one selling point. The huge benefit, probably, yes, as you said is cloud savings. Tim: Do you have a lot of customers who are not using that particular feature? Wayland: Yes, we do have because they cannot ship their application to a container yet. Tim: Are most of your customers enterprise, small medium businesses, startups, who’s your typical user? Wayland: We are a pure B2B business. Most users are startups who raised the money already and some medium-sized enterprise. Fujitsu is one of our largest customer so far. Majority of the customers are like with a team about 50 people deploy application to the cloud like spending more than $10,000 per month. Tim: Yes. That makes sense. If you’re just running two instances, you’re going to worry about saving a few dollars a month. Tim: Excellent. Let’s talk a bit about the whole culture of DevOps and container technology in Japan. From four-five years ago, this has just really taken over the way software is deployed in the U.S. What’s the situation here in Japan? Wayland: Let’ take example, GitHub, probably almost every company in the U.S. have some GitHub or a GitLab integrated into workflow. In Japan is, I think, 1 in 50 already. We still see lots of customers requires FTP access to servers. Instead of GitHub, there are local Git services companies. To do business in Japan, we really have to integrate those local bidders instead of GitHub. Wayland: You’re right, pretty simple. Tim: The problem is there’s still so many companies here running CBS. Wayland: Yes, CBS or ISBN. Right. Other than the Git part or the code part, the workflow is also slower than we see from Silicon Valley or internationally. Companies in Japan cares most about security things, so even taking longer time to secure some potential risk. Tim: Actually let me drill down on that because what kind of security do you think that Japanese customers are concerned about? Because from my experience, there are a lot of companies who will leave unpatched servers running for years. It seems to me that Japanese companies are more interested in shall we say procedural security, in compliance? Wayland: Yes, you’re right. Exactly. In compliance. Like take example of Public IP., after deployed — like I say even AWS, there is a public IP exposed. Anywhere in the world can access if you have the secure key to access any machine which if we have a well-designed architecture, the secret key will be very secured but could be unsecure if there is a human problem. Most company in Japan, they care about this potential security risk. Like you said, process, if there is anything we can do to protect this security issue to be happen, they can take a longer time to try to prevent this to be happen. Tim: Okay. It would seem to me that technologies like Chef and Puppet and Docker Containers or container architecture in general, would greatly improve security and simplify compliance and procedures. Tim: But still not really seeing a big uptake in Japan yet? Wayland: I don’t think so. Maybe people have the concept in their mind just not executing it in the production environment yet. Tim: Because there are people in Japan who are very, very passionate about DevOps and about containers but I think they’re sort of a minority of the developers. Wayland: That’s what I’m implying. Wayland: Right. When it comes to the company as a whole, decision-makers, managers, I think they have their risk to the company. I see most are still following the old way. Tim: I mean long term, it’s so much better for the companies to be using these modern tools. Do you think it’s because senior management is hesitant to make really big decisions that maybe they don’t completely understand? Wayland: I think so. At least in the large organizations. But in startups, yes, very flexible right now. Startups, yes, they’re very flexible. Wayland: Yes. 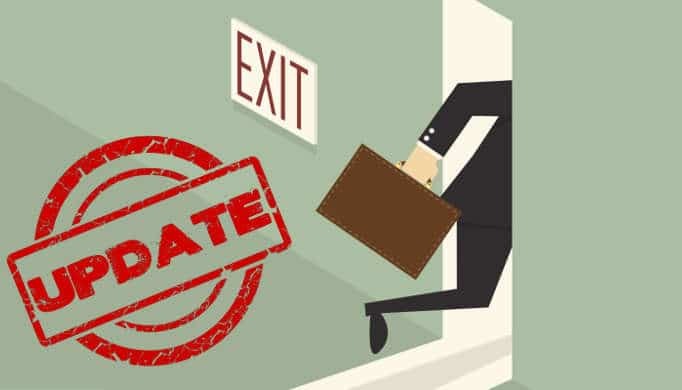 Currently, old customers are inbound only through friend’s introduction or through some of the channels like Facebook or we hold offline seminars. Recently we hired one full-time sales. Tim: That’s great. You’re going strictly from inbound. The sales staff you’re hiring, is that to deal with additional capacity of inbound or are you going to start trying to sell to outbound enterprise sales as well? Wayland: Our business requires a lot of meetings because we get their credentials, cloud credentials. We have sit-down, face-to-face meetings a couple times to sign contract then we help them to deploy. Tim: A lot of foreigners who come to Japan are really surprised about this aspect of business culture. Even though you’re a web app, you’re acquiring customers through inbound web marketing, you need to have that face-to-face. Wayland: Yes, exactly. We are just going to make Mobingi a TIBCO SaaS business which can sell automatically online. The first 100 customers register, only 5 of them actually entered their AWS credentials. That’s 5%, very low conversion rate. Those five people, they actually tried five companies. They tried deploying and the four of them, they either deleted or probably they changed their credentials. So security is really, really a big issue of online platform. Tim: You had an additional fundraising round earlier this year. Tim: I read in an interview you gave that Mobingi is already profitable and growing. What was the motivation of getting outside investment? Wayland: In order to grow more aggressively, before Series A, actually we are profitable if we only thinking about — that stage we only have four employees, no advertising, no support engineer call. Tim: Okay. So it was just really ramen-level profitability? Wayland: Right. If we have run more, we’re going to be profitable. Then we raised the round and right now we have 12 people in the office. Tim: Okay. So you founded Mobingi in 2015. Tim: Early on, you went to both the Digital Garage, On Lab Accelerator, and also 500 Startups Accelerator as well. Tim: What’s the biggest difference in approach towards accelerators in Japan and accelerators in the U.S.? Wayland: The reason I joined the Digital Garage Accelerator in Japan is that was the second month I came to Japan and I have a friend working in Digital Garage. He introduced then they accepted me. Wayland: Yes. That’s the reason. I want to build more connections. I want to know how to do business in this market. I’m truly new to this country at that time. Good program, good three months. I met a lot of people. But to program yourself, because I don’t speak Japanese, it helps me building connections, building confidence but not too much in doing business. Then I feel I need more funding as well as I need more mentorship from Accelerator. Then applied to 500 Startups and just lucky they accept me again. Then I went to Silicon Valley for another three months. Actually, I joined another accelerator as well. Tim: Really, three of them? Wayland: Yes, three of them. The last one is Fujitsu Accelerator in Tokyo. That accelerator is a little bit different from them. It’s a little more like a business collaboration. It’s also three months but they’re not teaching us how to do business. They are connecting us with Fujitsu Group of Companies. Tim: Okay. So it was more of an open innovation program? Wayland: Right, yes. Open innovation program. Tim: Wow. Three accelerators in two years? Wayland: Yes. I’m very aggressive. Tim: You must have gotten a lot out of them? 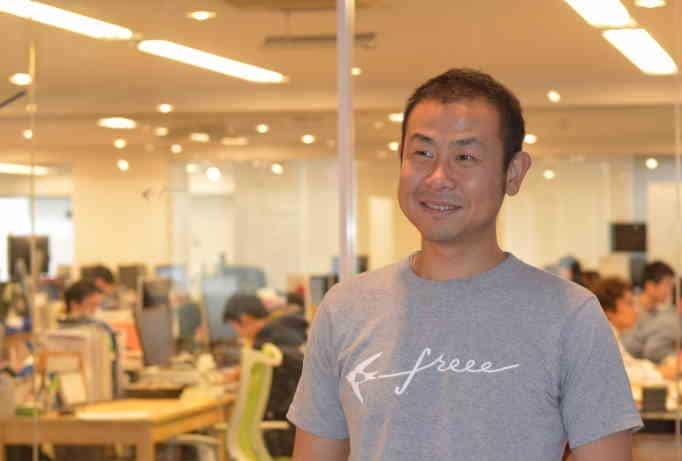 Wayland: I think for international founders in Japan, joining accelerator is a good choice, giving out a little bit ownership and you get to know more about the people thinking, people’s mind and connections. It helps a lot and also business opportunities. 500 Startups, it is very good program but it doesn’t help to do business in Japan. The fund is pretty higher than Japanese accelerators. They invested in $100,000. Tim: The Japanese accelerators, the biggest value is the business networking and the connections you got from them? Wayland: Money and business model of SaaS. Tim: Okay. So really understanding how to improve the operations of your startup? Tim: Let me ask you. Before coming to Japan, you’ve started several companies in China and you went to school in Canada. Wayland: Yes. Probably the same reason is everybody else like Japan and it is the safest to live and the food is good, environment is good. But the reason I came here is because my wife she’s Japanese then we came back to Japan together. Wayland: Yes. Then open new company because I couldn’t join other companies and my personality, myself. Me and myself is entrepreneur from the heart. It’s really tough at first two years. Tim: I can imagine. In coming to Japan, you mentioned you’d only come back to Japan two months before you joined the Digital Garage Accelerator. Tim: How did you find co-founders? How did you go about starting a company when you were so new here? Wayland: I’m very lucky. My friend is working at Digital Garage. He introduced a good co-founder to me, Horiuchi-san. 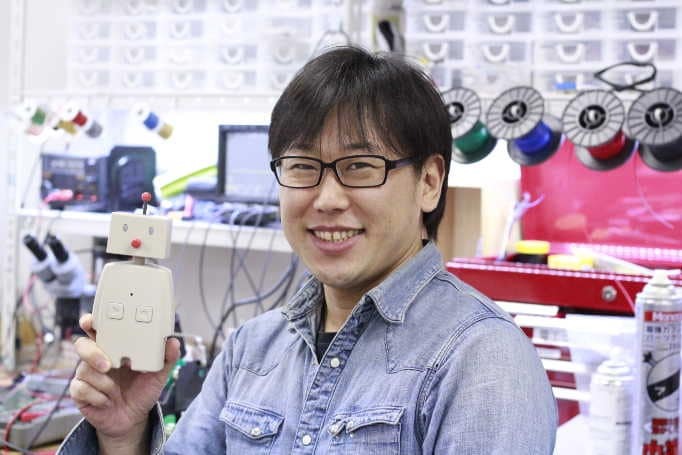 He is quite well-known in Japan IT industry. He used to be AWS evangelist and also he was the ex-CPO of Gumi and IPO company. He’s really added a lot to Mobingi team, builds trust to our customers as well. Tim: What attracted him to the company? Did he just really get excited about the idea? Tim: I read an article about Mobingi and it was in Japanese so I might have misunderstood a bit but did Mobingi change from being a Japanese KK to a U.S. company and then back again? Wayland: In order to join the 500 Startups program in the U.S., fastest way is to create a U.S.-based company entity. So we created a U.S. subsidiary. But since Series A investors are in Japan, so we do a mobilization to switch everything back to Japan. Very complicated process. Tim: Yes, it is. What did your shareholders think of that? Wayland: Also, we communicate with them as long as we are growing, they are okay that. So 500 Startups U.S., they are also a shareholder of our KK in Japan. Tim: Now, I’ve seen more and more Japanese startups are actually incorporating like a Delaware C-Corp because it makes it easier to raise money abroad. I mean Japanese investors are happy to invest in a KK but U.S. and European firms aren’t going to do the due diligence on a Japanese company. Tim: Did you find your Series A investors would not invest in a U.S. company and you had to pull it back into a KK? Wayland: My investors, Draper Nexus and archiTAB, they invest in both U.S. and Japan. But since our customer base mostly in Japan and my IPO is also in Japan, so I think better just switch everything back because the team is in Japan as well. Tim: Okay. What are your plans for global expansion? Because this type of a technology product seems like it will work everywhere. Wayland: Actually the product can be used from any customer from any country but just requires we have a local team to do support. Because of that, we have to set up office in different locations. But my plan is to focus in Japan and we may go to China market next year. I think instead of going to the U.S., go to China is a lot easier. U.S. has big competition. We have a lot of direct competitors but in Japan we are the only one providing this service. In China, one of the few. Tim: Okay. Excellent. Let’s talk about the future of PaaS platform as a service in general. I was a long-term — middleware is kind of a dangerous place to be business-wise. In almost every vertical but this one particularly, Azure and Amazon keep offering better and better easier-to-use solutions and on the other side, there’s user deployment tools that are getting simpler and simpler to use. How do you avoid getting squeezed out of the market from both sides? Wayland: Yes. That’s exactly the challenge to Mobingi. Currently, there is some overlap both sides. There’s AWS or there’s other top layer tools. But I think the value for the customers, we found a approach that we’re trying to make a simple solution. Think about it, how many DevOps in this market who understands cloud computing a server restart Linux? Not too many. How many developers, designers are there? There’s a lot. Maybe a hundred times more. Those people, they all want to be able to manage some sort of deployment by themselves. We are actually primarily targeting for these people group. So we are providing a service simpler and easier to use. And to DevOps, not that customizable. To them, not that powerful which I believe our approach has a bright future, has a more wide audience. Tim: Well, that would make sense especially if you’re focusing on startups and mid-sized companies. Tim: The enterprises, I imagine they’d be more likely to demand custom workflows and they’d also be more likely to have staff that can do the custom DevOps. Wayland: Yes. One of our enterprise customers, they use many paid open source software license. Like for example, GitHub Enterprise, each servers, they are solving a solution for one vertical, from infrastructure provisioning to software build configuration and their ship continuous integration and monitoring. Data Dog or New Relic, they are solving each vertical of the whole life cycle. Mobingi, you can say we are trying to do everything but we are not doing everything by ourselves. We are trying to provide the platform on top. We do some part by ourself, we integrate the part by those famous bidders. So as a solution to our customers, Mobingi seems powerful and straightforward. They don’t want to spend much time for each individual vertical. If Mobingi is already integrated, let’s just buy a bundle. Tim: Do you think that in the same way that cloud computing abstracted away the concept of hardware, but nobody really cares or thinks about what hardware their apps are running on. Do you think that platform is a service that something like Mobingi could abstract away the concept of the cloud? For example, in the same way Mobingi now goes out and finds the cheapest spot instances to bid on, it could actually find the cheapest compute unit across Google or Azure or AWS. Do you see that happening in the future? Wayland: Yes. You get the point. What we are building is towarding that way. Yes. We have a simple UI, right? Customer can select which cloud bidders to deploy to. They can select AWS, Azure, or like in Tokyo we have Fujitsu Cloud and Softbank Cloud. They can also deploy one application to different clouds simultaneously. So if Azure is cheaper than AWS, we can ship their supplication on Azure. Tim: Are customers actually doing that now? Wayland: Customers, they have the demand but it’s so hard if they switch the workflow from one cloud to another cloud. Tim: Because I’ve worked a little bit on all three of those platforms. Fundamentally, they seem the same but they’re quite different once you start using AWS or Azure or Google Cloud Compute. Tim: Is it practical to have one application running with different components on different clouds? Wayland: They are different kind of applications. I say, a simple website, there’s no database. There’s no need to store some local data on the virtual machine. It doesn’t matter where this application actually sits. Another kind of application requires database connection, better to be the same physical data center. Tim: So applications that are looking for storage in compute will do shipping all over. Tim: But if they’re suing database or some of the advanced services of any one cloud, they’re going to be boxed into that cloud? Wayland: Right. We call it locking. Wayland: Locked in. Yes. Exactly. Maybe in the future, there’s more advanced technology can ship every application even database across different clouds. Tim: I think so. I think that there’s like two competing technologies. You have companies like Docker and Mobingi that is trying to make it as easy as possible for people to move between clouds and then you have Amazon and Microsoft who are trying to make sure it’s not very easy to move between clouds. Wayland: Yes, I think. Right. Tim: As a foreigner who’s come to Japan to start a company, what was most surprising about it? Wayland: I think most surprising thing to me is honestly of business partners, employees. Wayland: Well, it happens to me once in previous startup. It’s a bad story that the people had released the product, right. My year investment goes back nothing. Tim: Your partners just took the technology and started a new firm? What did they do? Wayland: The code, the product itself, I’m not coding so we have to spend another half year to recode everything else. This is an extreme case, bad story. But amazing thing here in Japan is my co-founders and my early employees, we worked together like family and they’re trying to help everything like this is their own company. I can trust basically everything on them. And since I don’t read Japanese by the time, I have to open bank account for the company. I have to do a lot of legal paperworks. My first employee, she helps me on everything. I don’t even have my bank account access. So I can trust everything on the employees. From the customer side, once the contract is fixed, not easy for them to make a change. Goes very reliable for a long time. Wayland: It’s very stable. It’s like a lifetime contract. So the churn rate in SaaS business, the percentage of companies who terminated the contract — the churn currently in Mobingi is zero. So far nobody leaving us. Tim: Excellent. The difference in trust, do you think that was the specific people you are working with or do you think that’s a real difference in startup culture between Beijing and Tokyo? Tim: I’m not going to say soft, maybe honest is a better word. Wayland: Yes. I’ll say honest. So I found startup in Japan first is good for me. Once we scaled to a certain size, we go back to China. Tim: Right. Then you’ll have the resources to defend the market you’ll have. Wayland: Yes. And also we can hire more aggressive person to compete against other people, one being myself. Tim: What advice do you have for other foreigners who are either in Japan now or who want to come to Japan to start a company here? Wayland: — reputation, then it’s a lot easier if people see trust. They take some time to build trust. Tim: You think that investors demanded a little more proof and a little more traction from you than they might have from a typical Japanese startup? Tim: But once you proved it, there was no problem with investment? Tim: Cool. Before we wrap up, I want to ask you what I call my magic wand question. Tim: Magic wand. That is, if I give you a magic wand, and I told you that you could change one thing about Japan, anything at all, you could change the legal system, the educational system, the way people think about risk, anything at all to make it better for startups in Japan, what would you change? Wayland: Well, I wish I can change the business people to be more aggressive. Japanese businessmen, they care a lot, every perspective. Yes, this is safe for a company but also from the other side is slowing down the opportunity. Tim: What do you mean by aggressive? For example, before you were talking about Chinese being too aggressive and taking source code and moving around, so you don’t mean that? Wayland: I don’t mean that. I think that’s not in general Chinese. This is just what happened to me. Being aggressive, I mean don’t care too much about small things. Let’s talk about contract. We are making one contract. It could be 10 pages but that contract’s executed in time. In Japan, it could be longer thing to work. For example, it takes four weeks, in U.S., it could be two weeks, in China it could be one week and a half. Tim: What do you think slows that down? Why are Japanese businessmen aggressive that way? Wayland: My thinking would be probably the process. There are too many people in the process to review. Each step, people are worrying about making mistake. Tim: They’re worried they’re going to get blamed for something so they’re trying to build consensus and let everyone in on the decision? Wayland: Yes. I think every people from every country same but probably here is a little bit more — this magic wand can accelerate Japan’s innovation taking back the past 20 or 30 years. Electronic industry in Japan, Japan has — with brand Panasonic, Daiwa, Sony, currently not too many brands. Where does the industry go? And it goes Chinese companies. I think many Japanese business are slowing down because of this process. Tim: That’s really interesting because I think that that same process that is slowing down the decision-making today is part of what made Japanese engineering and auto manufacturers such world-dominating players before, this attention to detail, this not letting any mistake creep in. Wayland: Yes. That’s a very good thing, making a product to be perfect. That’s the spirit of Japanese quality. I like it. In our company, our staff is changing my mind a lot. I want to release a product. I think’s 99% perfect but they want to make it 100% perfect. Well, I change my mind. I respect that point. But we need to find a balance. Sometimes, they won’t be 100% perfect. Tim: I think that’s right. It’s a balance and it’s the right process for the right kind of decision. So if you’re talking about a product particularly an important hardware product like a car, yes, absolutely. Go for zero defects. That’s fantastic. But when you’re making a business decision, are we going to use product A or product B? Are we going to use GitHub or GitLab? Maybe once you get to 80% sure, that’s enough. Wayland: You got for it. Exactly, exactly. Right. Tim: The right process for the right job. Wayland: Yes. Well, that’s very interesting topic to discuss. Tim: Internally, Mobingi is doing that. The engineering team is trying to go with the zero defect and maybe the business side is trying to be more flexible. Wayland: Yes, so I’m being in the middle. Sometimes I push it, sometimes I have to pull it back. Tim: Cool. Maybe that’s the right model for Japanese startups then, finding that balance. Wayland: Yes. The thing with balance, I’m trying to push the limit then finally we have to release because almost perfect, 99.9%. Tim: Right. Excellent. Well, listen, Wayland, thank you so much for sitting down with me. I really appreciate it. Wayland: Yes. Thanks for visiting my office. Thank you very much. You know, I think Wayland really buried the lead in explaining his business model. Platform as a service or any middleware really is a difficult place to build a business because if you’re successful, are going to expand to the middle and squeeze you out. Mobingi’s business model, however, is simpler. They offer a service that saves their customers a huge amount of money and that’s appealing to everyone. Of course in the long run even that business model will be threatened if Amazon introduces similar automated tools. You don’t want to build your castle on someone else’s land. No. For Mobingi to continue to thrive and grow, the world needs to embrace multi-cloud. This is Wayland’s vision where compute jobs could be seamlessly moved from Google to AWS to Azure based on who’s offering the best price at the moment. It’s an environment that would be great for developers but Amazon, Microsoft, and Google are all working hard to make sure that does not happen. They want as many people as possible building castles on their land. I also want to echo Wayland’s experience with the general trustworthy nature of both Japanese business and individuals. It’s true not just in the personal relationships that we talked about but in corporate behavior as well. For example, Japanese companies will rarely breach a contract. It’s just not done. In fact, that’s one of the reasons it can be so time-consuming and frustrating to get Japanese companies to sign contracts in the first place. The flip side of that, of course, is that Japanese customers are extremely loyal as Mobingi’s zero churn to date shows. American firms on the other hand will breach contracts as soon as it becomes economically advantageous for them to do so, and they expect their business partners to do the same. It’s just part of the business culture, one that idealized rule-breaking. It’s interesting to look at how Silicon Valley has changed over the last 15 years and many of my younger entrepreneurial friends insist that this rule-breaking mercenary attitude is actually required for innovation to take place. I think there is some truth in that. In fact, I think that’s why accelerators in repressive nations tend to produce an unending stream of copycat startups. It’s very hard to foster questioning of economic and market norms while you prohibit the questioning of political and social norms. But the other extreme does not work well either. Startups stealing code from each other, startups rewriting employee stock options because they can. I mean don’t let anyone tell you it’s not about the money. Of course it’s about the money but it has to be about more than just the money. A founder’s vision of we are all going to be rich can result in a lot of innovative Wall Street-style financial engineering. But that’s a zero sum game. True innovation requires balance. The goal of the very best founders and the very best startups is not rewriting the rules so that they can benefit. It’s rewriting the rules so that society benefits. If you’ve got a story about starting up in Japan as a foreigner, Wayland and I would love to hear from you. So come by disruptingjapan.com/show093 and tell us about it. And when you come to the site, you’ll see all the links and notes that Wayland and I talked about and much, much more in the resources section of the post.